Lindsay is CEO of SOCAP Markets. Previously, she curated all content for SOCAP, also overseeing production, marketing, and business development. 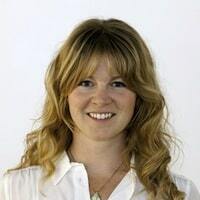 Lindsay has also worked on the SOCAP Conference as Entrepreneur Coordinator (2012), Program Manager for the Oceans track (2013), Senior Content Associate (2014) and Director of Programming (2015). Before joining SOCAP, Lindsay worked as Strategic Initiatives Officer at ImpactAssets, where she was focused on building knowledge resources that advance the field of impact investing, such as Issue Briefs and the annual ImpactAssets 50. Lindsay is a graduate of Columbia Business School and Pomona College. SOCAP, one of the premier events centered on mobilizing capital for impactful social and environmental change, is right around the corner. Set for Oct. 23-26, 2018 in San Francisco, SOCAP18 is expected to draw thousands of participants and will feature over 500 speakers from the professional impact sphere. In a preview of what's on tap, SOCAP CEO Lindsay Smalling has details on the discussions, a reconfigured format and a special last chance discount for NextBillion readers. And NextBillion will be giving away a FREE ticket to the event to one lucky reader of our weekly e-newsletter next week - subscribe by 12:00 pm EDT Wednesday, Sept. 19 for your chance to win! The ImpactAssets 50 - whose 2014 edition was released last week - is an annual showcase of 50 private fund managers that deliver social and environmental impact as well as financial returns. Its free, searchable database provides filtering by asset class, geographic region and issue area, and gives a detailed overview of each firm. A recent ImpactAssets report explores how the millennial worldview influences the financial strategies of the next generation of investors. It draws on a variety of research as well as insight from investors. Report co-author Lindsay Norcott interviews one of those investors, Michael Sidgmore, founder of NextGenEngage and VP, Investor Network at iCapital Network.